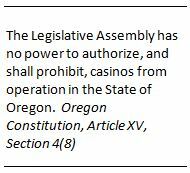 The Oregon Constitution prohibits casinos, but enforcement is difficult because “casino” has not been clearly defined. 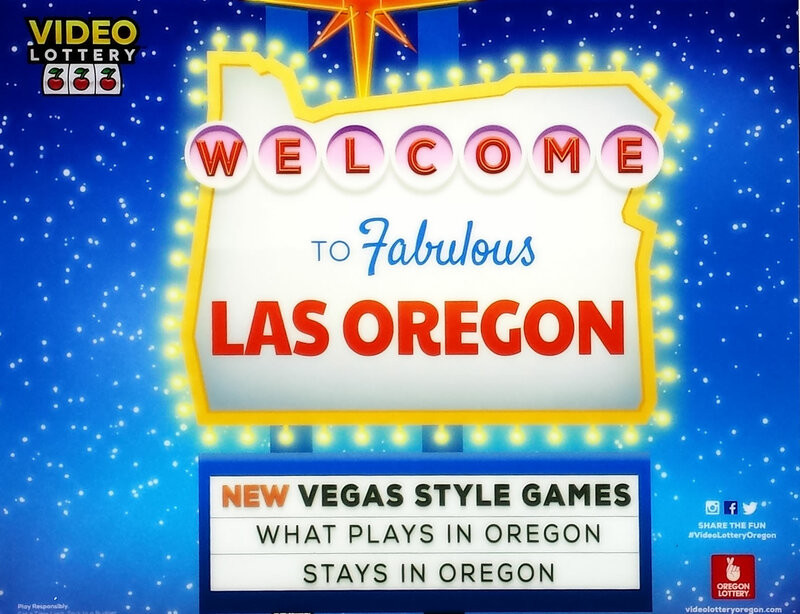 The Oregon State Lottery’s current rules and practices may not be detecting retailers that receive most of their income from video gambling machines. We recommend Lottery seek legislation to define “casino” and take several steps to improve compliance. The Oregon State Lottery offers a variety of gambling options including Powerball, Mega Millions, and Oregon games: Megabucks, Raffle, Keno, Lucky Lines, Win for Life, Pick 4, Scratch Its, and video gambling machines. Machines are the largest annual revenue source with average net receipts of $727 million over the last five state fiscal years. Net receipts as used in this report are dollars deposited in machines minus dollars won. During fiscal year 2014, machines generated net receipts of $743 million, of which $178 million was paid in commissions to retailers and the remaining $565 million was used for state purposes. As of December 2014, there were about 2,300 retailers operating nearly 12,000 machines. Lottery has established administrative rules to enforce casino prohibition. Under its current rule, retailers are not casinos if their non-lottery sales are at least 50% of their total income. For retailers whose non-lottery income may be less than 50%, the rule allows the Lottery to consider additional factors such as a visual inspection to determine if a retailer is operating as a casino. In practice, Lottery is satisfied if a retailer’s facility does not look like a casino, so they perform no review of retailer income. Lottery has identified Limited Menu Retailers as posing a higher risk of operating as a casino because they tend to have limited sales of non-lottery products, thus, relying more on Lottery income for their business. In 2014, 234 Limited Menu Retailers operated 1,305 or 11% of the nearly 12,000 machines in use and generated about 21% or $158 million in machines net receipts. We focused our procedures on the higher risk Limited Menu Retailers and found that Lottery’s enforcement practices may not adequately address the Oregon Constitution’s casino prohibition. We followed the procedures prescribed by Lottery’s current enforcement program and found the program does not detect all retailers whose dominant income is gambling. While most of the Limited Menu Retailers we reviewed did not have the appearance of a casino, over half of these retailers derived more than 50% of their income from machine commissions. Many of these Limited Menu Retailers had difficulty generating non-lottery sales sufficient to comply with the income threshold. To help Lottery strengthen existing controls and to facilitate compliance with casino prohibition, we recommend Lottery management work with the legislature and other stakeholders to develop a clear and enforceable definition of a casino that aligns with the 1994 supreme court ruling of dominant use/dominant purpose. Lottery should verify gross sales reports when using them to perform an income analysis. For retailers challenged with meeting the 50% non-lottery income threshold, Lottery should evaluate whether removing a machine would enable the retailer to comply with the dominant use/dominant purpose court ruling. The agency response is attached at the end of the report.